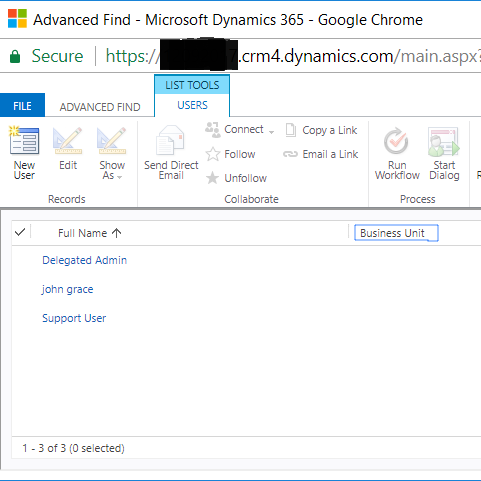 If you need to see how many active users you have in Dynamics CRM / 365 - this KB article will walk you through the steps. Set the Status Attribute Equals Enabled. Set the next condition to Access Mode. Set this equal to Read-write and Write. The number of active users is displayed in the bottom left hand corner.